This week the Member States of the World Health Organisation (WHO) elected Dr Tedros Adhanom Ghebreyesus as the new Director-General of WHO. Dr Tedros Adhanom Ghebreyesus was nominated by the Government of Ethiopia, and will begin his five-year term on 1 July 2017. 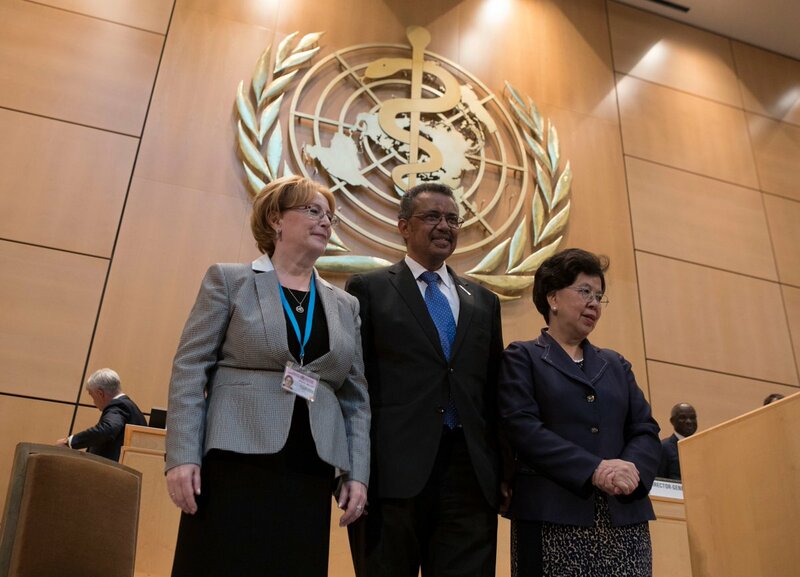 Dr Tedros Adhanom Ghebreyesus will succeed Dr Margaret Chan, who has been WHO’s Director-General since 1 January 2007. He is the first African to hold this position. The following information it taken from his CV and candidate’s statement for the position. As Minister of Health, Ethiopia, Dr Tedros Adhanom Ghebreyesus led a comprehensive reform effort of the country’s health system, including the expansion of the country’s health infrastructure, creating 3500 health centres and 16 000 health posts; expanded the health workforce by 38 000 health extension workers; and initiated financing mechanisms to expand health insurance coverage. Dr Tedros has a Doctorate of Philosophy in Community Health from the University of Nottingham, UK, a Master of Science in the Immunology of Infectious Diseases from the University of London and a Bachelor of Science from Asmara University, Eritrea. ON his CV he lists his hobbies as reading, world history, and traveling to experience diverse cultures. Engage countries and strengthen partnerships to deliver results. A Transformed WHO: Building WHO into a more effective, transparent and accountable agency that is independent, science and innovation-based, results-focused and responsive. Health for All: Advancing universal health coverage and ensuring all people can access the health services they need without risk of impoverishment. Health Security: Strengthening the capacity of national authorities and local communities to detect, prevent and manage health emergencies, including antimicrobial resistance. Women, Children and Adolescents: Putting the well-being of women, children and adolescents at the centre of global health and development. The following are some of the tweets responding to Dr Tedros’s election.